I remember going out for dinner about ten years ago, and brainstorming caravan travel plans. Although we were incredibly keen, we had four kids under three at the time so we decided it would be best to wait a while. We spent nine months travelling in a tent in 2012, with other stints of 2-3 months at other times, but took a while to get around to buying the caravan we’d planned. To satisfy our itchy feet we moved a lot! We’ve lived in dozens of houses over five states in 15 years. 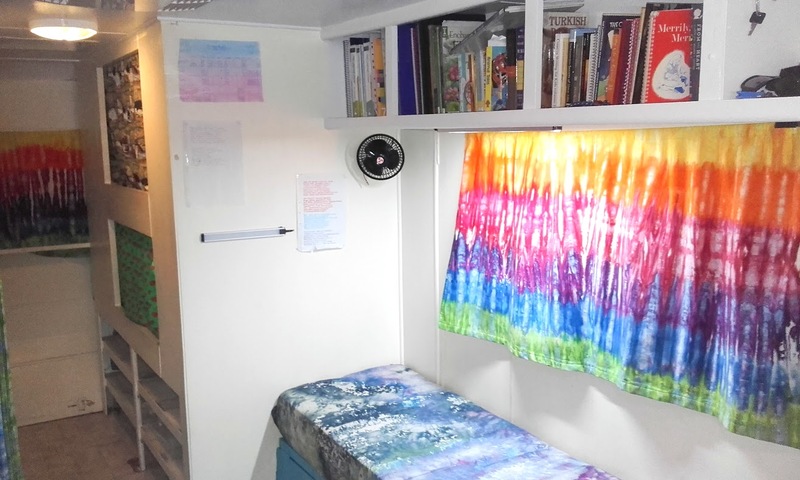 In 2015 our study meant we had placements and residential school requirements in different places, and would spend a fair bit of time away from home anyway, so it was a good excuse to finally buy a caravan and make it permanent. Now I wish it hadn’t taken us so long, a caravan is a wonderful thing to own. We spent quite a bit of time working out our basic needs in a van. Let’s face it, caravans aren’t made for seven, so we knew we’d have to DIY. It was important to us that each child had their own permanent, private bed area, and that we had a large, well-equipped kitchen, as we cook everything from scratch. We worked out the size and layout of the bunks and how much space we’d need to fit them in, and from that determined we’d need a van that was full height (no pop-tops) and 8 feet wide, and we decided on a length of 18-21 feet. We drew it on the concrete with chalk so we could get a real idea of how much space we’d have, complete with kids laying in the ‘beds’. Upon deciding that, it was really easy to find a van to buy, because it narrowed it down so much, and we bought one within two weeks of starting to look. We have a beaten-up 19 foot 1996 Jayco Discovery (our tip... buy an older van because kids are REALLY hard on them!). We didn’t see the point of buying a fancy van because we were planning to change it so much. We’ve renovated most of the inside to suit us, and people are surprised at how spacious and organised it is. 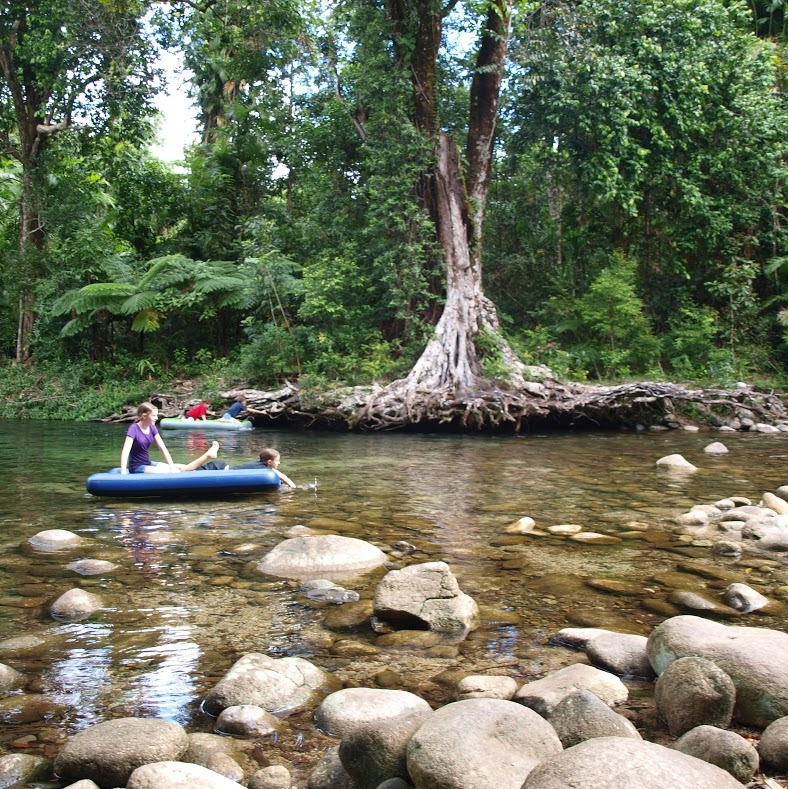 Our departure date was set for us, because my husband had a placement in Cairns two weeks after I finished my placement in Rockhampton. The essential thing was to get the bunks in so we all had somewhere to sleep. We pulled everything out of the existing bed area and had bunk frames welded to our specifications. When we left, the frames had the base plywood on but weren’t enclosed, and my husband and I just threw our mattress on the floor at night! We knew it would be a work in progress. We sold most of what we owned (not much, because of our lifetime of minimalism and interstate moves) and put the essentials into a 3 x 2 storage unit. Since then we’ve enclosed the bunks, built shelves, painted, installed a 500W solar setup, made curtains, and made a fold-out bed from the couch. We have a portaloo but no shower-swimming and warm soapy water take care of hygiene when we’re away from comforts. My indulgence is my 8kg twin tub washing machine-it runs off our solar and only weighs 20kg, and after a year of not having one I love it so much! The caravan is so incredibly comfortable and organised now, and it really is our home-it has a lovely feel to it. Solitude. That might sound strange coming from a family of seven! But we really love being in remote places, all by ourselves, with no light or noise pollution. There’s something so calming about it, and we make sure we do it regularly. 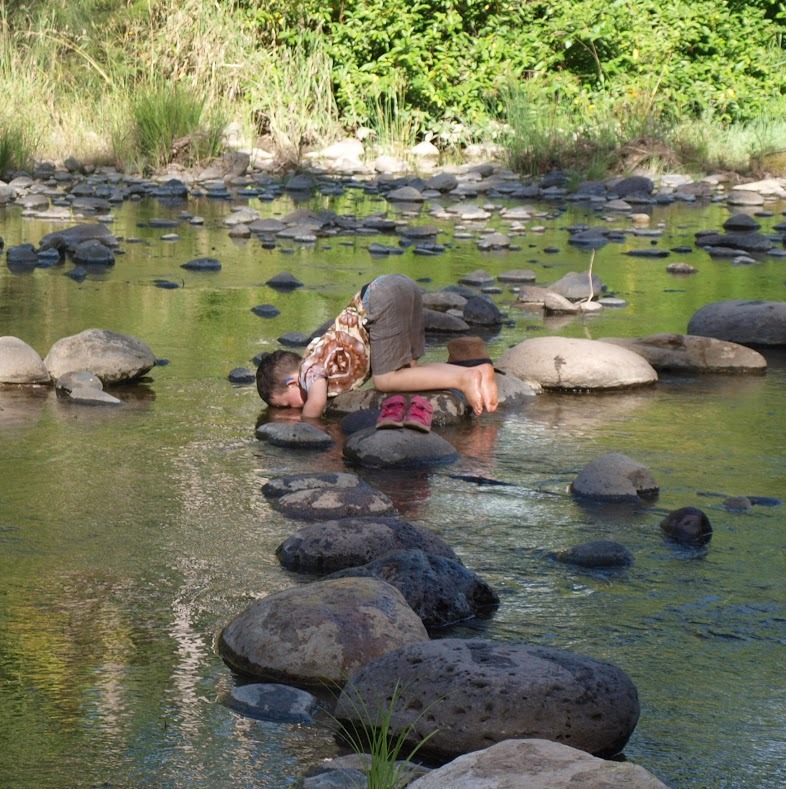 The skies are beautiful, the wildlife fascinating, and not much beats spending the day pottering around a crystal clear creek. Maintaining personal space! Yes, the biggest challenge is the opposite of the biggest joy! We’re a family of introverts (except my youngest, I’m not sure where he came from) and getting time to myself can be a challenge. I will often disappear to the camp kitchen, or even to an empty site, to sit and write, or I’ll get up early and go for a walk, but it’s really hard to escape other people talking to me constantly. I’ve gotten much better at being assertive and telling people that I have to go. 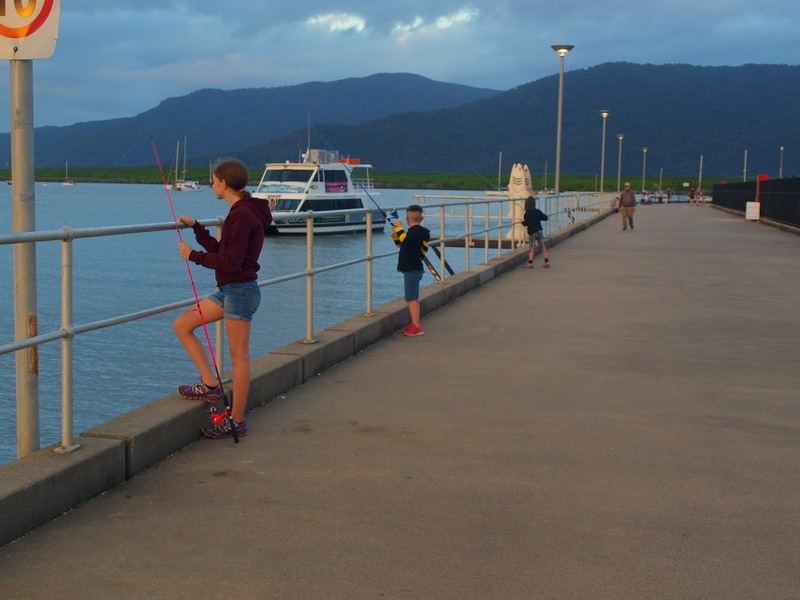 My kids can escape to their beds, but they still get overwhelmed sometimes, especially when we’ve had to stay in caravan parks for weeks on end. And we’re massive nerds, so we always love Canberra and all of its educational attractions! Big, touristy places tend to disappoint us. Over the years this has included Airlie Beach, the Gold Coast and Byron Bay. They’re usually busy and expensive, and lacking in charm, quirky characters and natural beauty. We tend to skip them, or will stay somewhere close by and do a day trip. 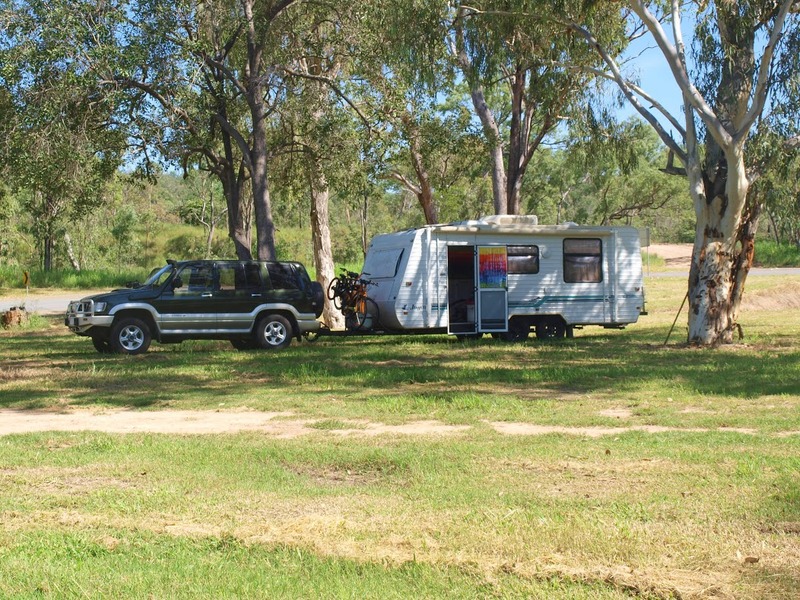 Our favourite places to stay are outback road stops. The sunsets and sunrises are gorgeous, there’s total peace, the stars are amazing, and they’re free! I still get excited about being able to pull over and stay somewhere in comfort, with power and great food, without paying a cent. 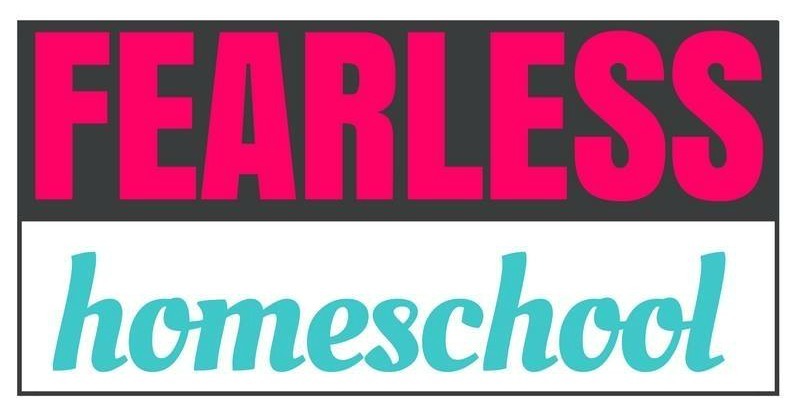 We’ve always homeschooled, so we just carried on. We make our own curriculum and find our own resources based on interests, so the children set themselves work to do. At present, this ranges from beginning reading for my youngest, to Latin and reading the classics for my eldest. Each child has a checklist for the week, and we fit the bookwork in when it’s convenient. The rest of the non-travel time is filled with everyday activities that also happen to be educational-reading, boardgames, crafts and hobbies, playing the ukulele etc. 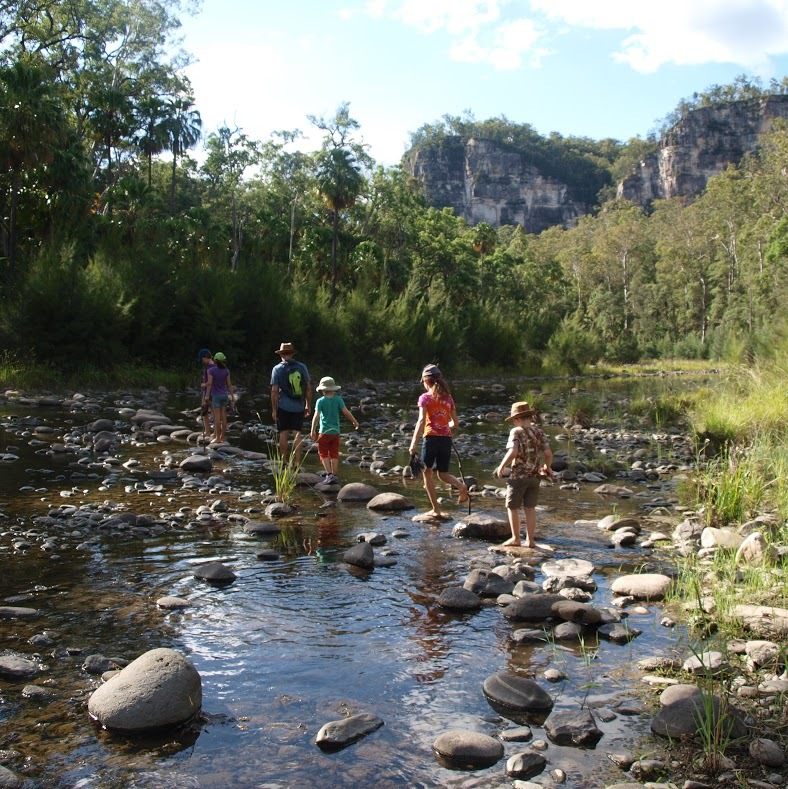 We learn about wherever we are, visitor information centres often have fantastic displays and information about the area (Mareeba, Herberton and Mount Gambier are great). There’s so many historical displays (such as the pioneer museum in Millicent, SA) or specialist museums (like the whale centre in Victor Harbour, SA). While in Mt Surprise we went fossicking, and borrowed rock identification and geology books from the library. 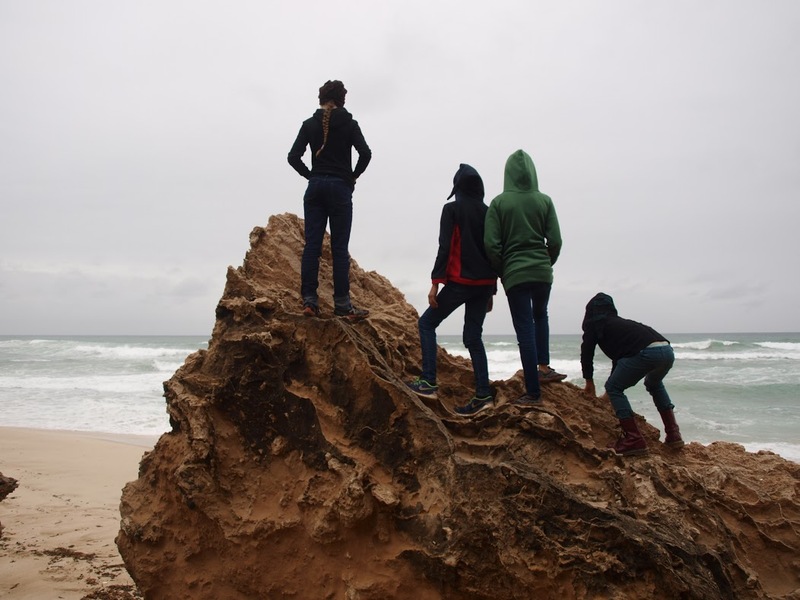 Naracoorte and Chillagoe sparked a geology and fossil investigation, and visiting Central Australia was fantastic for learning about Indigenous culture and history, and has sparked ongoing conversations about social issues. As a long-term homeschooler, I would recommend one thing to travellers: DON’T automatically do Distance Ed! It will limit you so much. The constant (and expensive) internet access needed, the parcel pick-ups, and the irrelevant lessons will drive you nuts. It’s commonly given as your only option, but homeschooling is legal everywhere in Australia, and allows you to tailor the education to your child’s interests and your current location. Spend time looking into homeschooling before you commit. I’ve written a complete guide to homeschooling while travelling in Australia, which can be found here. If you’d like me to research and add anything else you’ve found relevant, please let me know! Not much to be honest. It’s always been our life! Don’t get lured into buying a massive, expensive setup. You really don’t need so much space, and the size of it will limit you so much! Additionally, don’t overestimate your need for off-road gear. 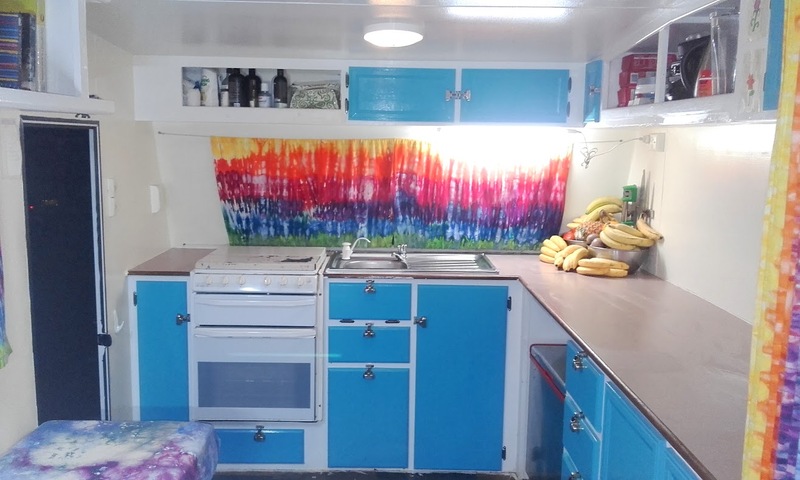 We have a standard caravan because we like not needing to set up, having the ability to stay anywhere (many camps require you to be self-contained), and having a full kitchen, great storage, and our own spaces. 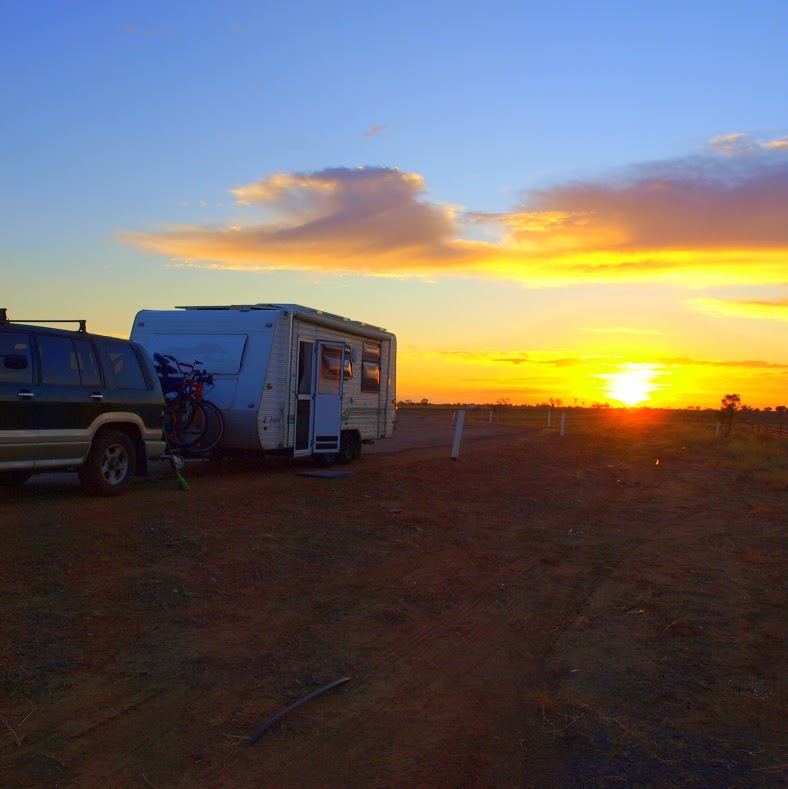 If we want to go bush we have swags and tents, but because this is our full-time life 95% of the time the comfort and convenience is appreciated far more than the ability to go off-road. I’m really not a fan of camper trailers for long term living (and don’t forget, we had a tent for a long time!) and many people I’ve met who have been in them for months complain about the setup, the pack up, windy or rainy weather etc. Don’t go so FAST! 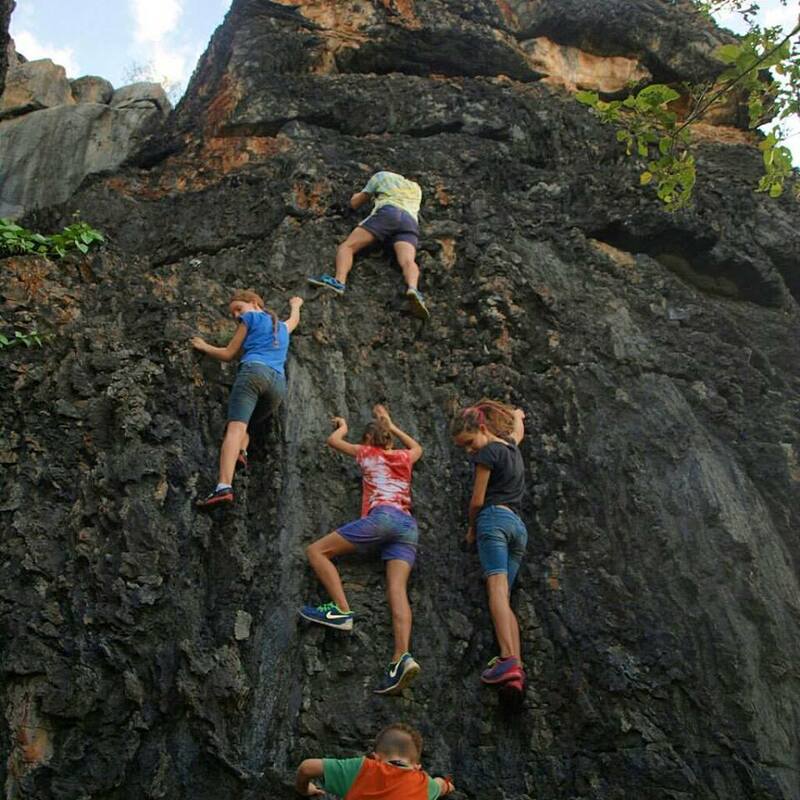 I always meet families who are travelling on fast-forward, they turn up, set up and go out to explore. The next two days they’re out early and home late. The day after that they’re packed up and gone. Yes, you see a lot, but you’ll be exhausted, irritable and eventually burn out. (Then you’ll get on Facebook and tell everyone how horrendously stressful travelling is-seen it happen?) 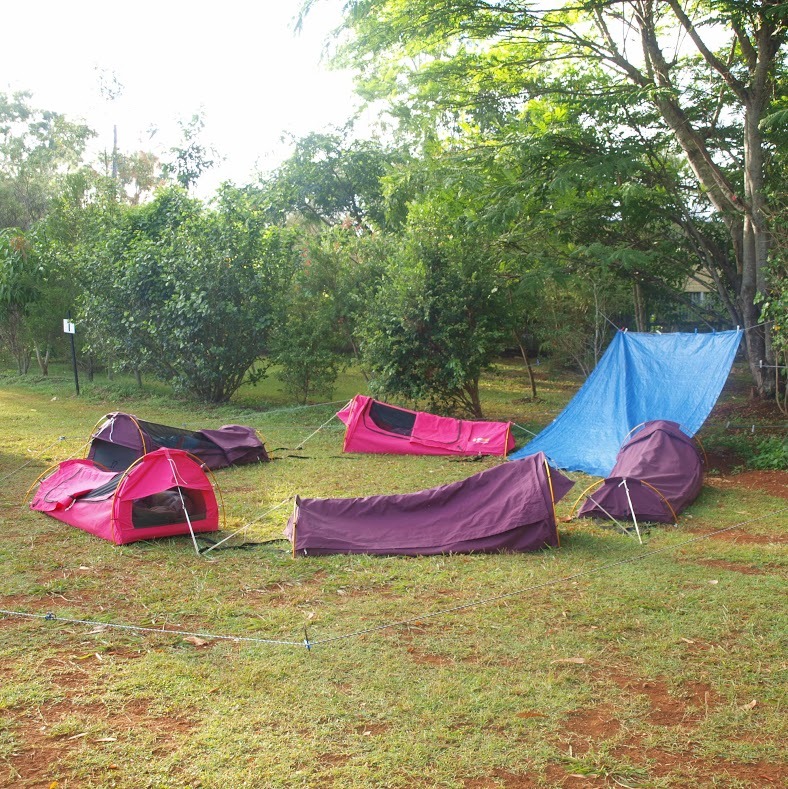 Have a decompression period at the start of your trip that requires you to stay somewhere lovely, and stay at camp. Get used to just spending time together, without needing to go out. Have interests and hobbies. After having a life mostly filled with work, school, mowing the lawn etc. many people don’t. It’s probably why they travel on fast-forward, it can be hard to adjust to a slower paced life. Having stuff to do is essential for being happy at camp. Rotating books, toys and games from op-shops and libraries keeps the kids occupied. I have my small sewing machine and overlocker (yes, they run on solar), and a handful of knitting needles and crochet hooks (the kids use all of that too). Travelling can be a shallow life in some ways, as you skim the surface of places and the people you meet in them, and having ongoing interests and projects will combat that. I think we’ve become bona fide minimalists, while we’ve always had few possessions we’ve realised just how much is unnecessary. We have a much greater understanding of Australia, from geography and history to politics and current issues. Finally, we all get along so well now-while we’ve always been close now we’re a very tight unit-we’ve had to be while living in such close quarters!